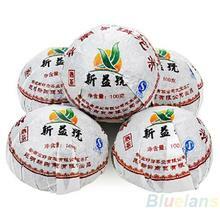 Certificate: HACCP, ISO9001:2000 , QS (China quality safety certificate). Material: Yunnan Large-leaved Sunshine Withering Antirhea Chinensis. 1) If you are not satisfied with your purchase, Within 5 days upon your receipt of the goods for any reason, let us know. We will promptly replace the item or give you a refund. We guarantee everything we sell as described. If any of our items were misrepresented we will refund 100% of your payment. If you are not satisfied with any product that you bought from us, please contact us upon receipt, we shall help you to resolve it perfectly, either money back or item exchange (buyer’s choice). If you need to return or exchange products for any reason please contact us for return address first. We cannot be responsible for items shipped back without pre-approval. Satisfactory : Once the item arrives in satisfactory condition, please leave 5’star Detailed Seller Ratings (DSR) Positive feedback for me, your recognition is our power to move forward.